hi Friends TinyUmbrella lets you save SHSH blobs for your iPhone, iPad, iPod Touch and Apple TV right from Apple Server and also from Cydia. SHSH blobs are required if you plan to downgrade device firmware to an older version. New version of TinyUmbrella 4.33.00 is now available for download. 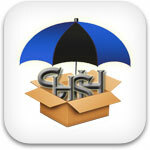 TinyUmbrella 4.33.00 can save SHSH blobs for iOS 4.3.3 (GSM) and iOS 4.2.8 (CDMA). TinyUmbrella now supports 4.3.3 and 4.2.8 (Verizon). Sorry for the delay, I’ve been quite busy. I’m working on some pretty drastic changes for TinyUmbrella. 0 Respones to "Download now TinyUmbrella 4.33.00 Supports iOS 4.3.3/4.2.8"